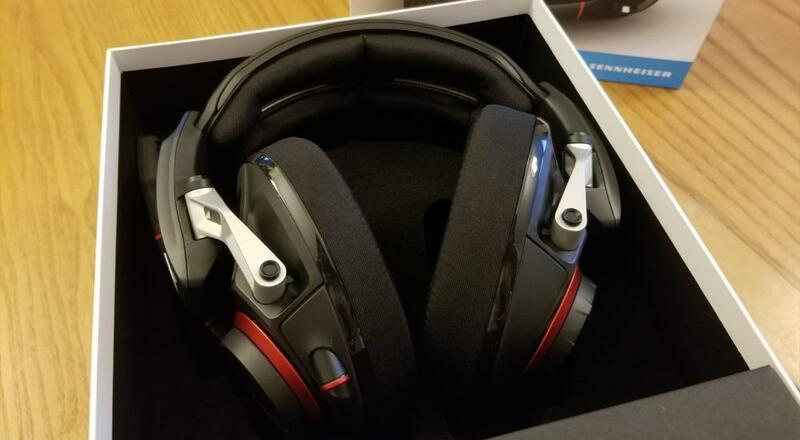 While most of the headsets I’ve used in the past are considered “closed back headsets,” the GSP 500 is an “open back headset.” A closed back headset is completely enclosed, which usually lends some sound-blocking properties. A headset with an open back, on the other hand, utilizes venting or grating on the earcups, opening the headphones to the surrounding environment. This style benefits users who want to be able to hear sounds from their surroundings better or people who find their ears get uncomfortably warm with closed back earphones. In addition to its open back cup design, the GSP 500 has several other distinguishing features of its construction. 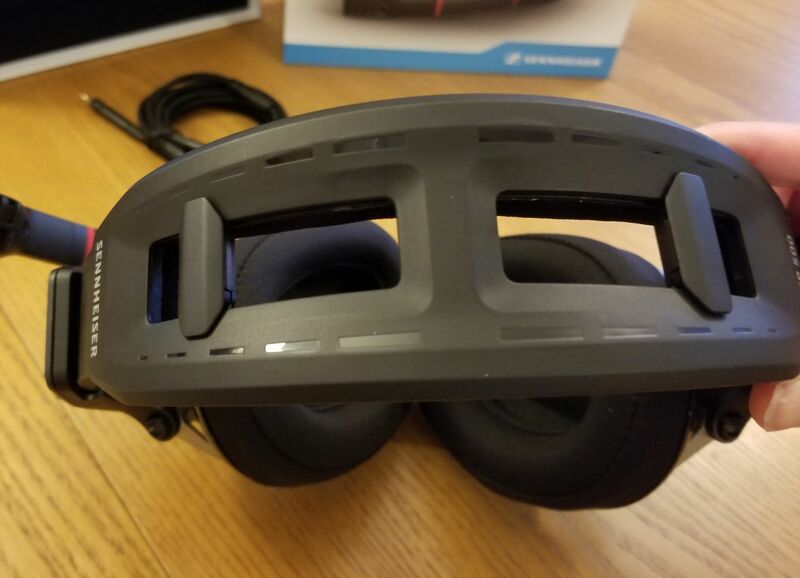 Starting with the frame, while each side is individually expandable - a trait found in most headsets - the band also features a way to adjust head contact pressure via slidable bits of plastic located on the top. The closer the two sliders are towards the center of the band, the greater the compression. Though there are several positions of these sliders on their rails, there is only a very small amount of compression difference between adjacent positions (more on this later on in the review). The microphone is attached to the left earcup, allowing it to swing up and become automatically muted when not in use. It’s also built to minimize background sound and can be gently bent to find the ideal distance from the user’s mouth. 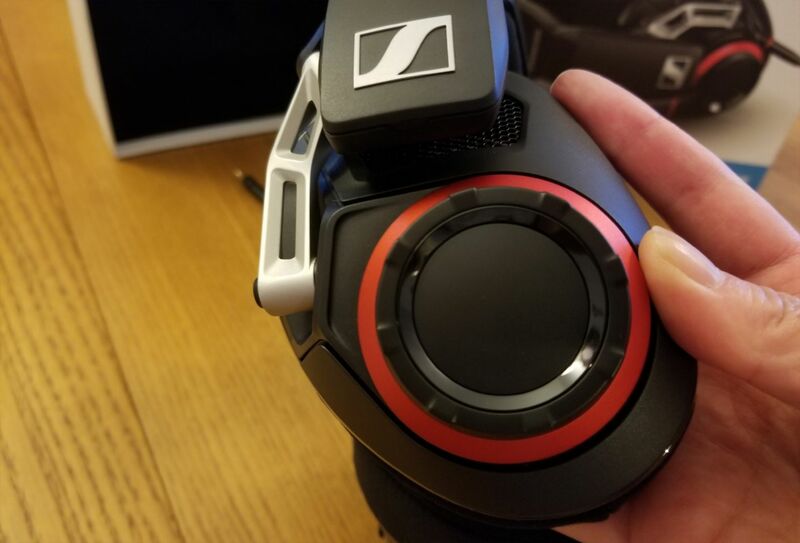 The entire edge of the right earcup is a volume wheel with enough resistance built into the wheel that there’s little risk of bumping it and changing the volume accidentally. There are two different cords included in the box: a dual 3.5mm analog and jack cord (for computer usage) and a single 3.5mm jack cord (for consoles and mobile devices). The dual 3.5mm cable is quite long, ensuring that you’ll have plenty of cord length to work with no matter what your tower-to-chair distance may be. Note that there is no USB cord, which is the default for many gaming headsets.